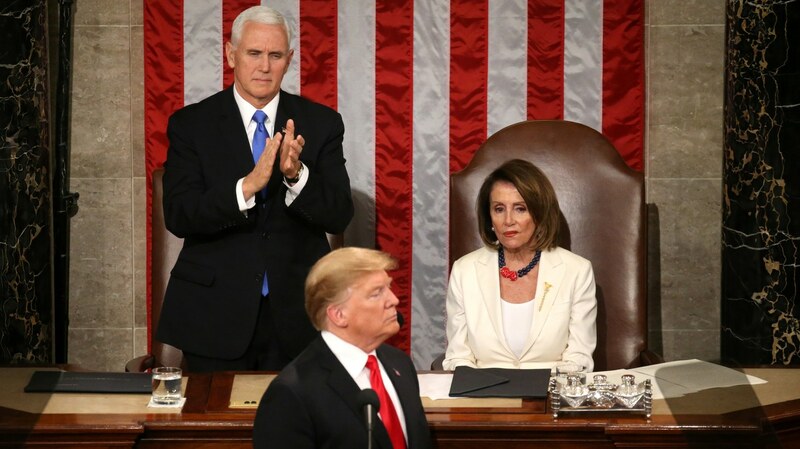 In this special episode, New York Magazine columnist Josh Barro, National Review’s Rich Lowry, and the Washington Post’s Elizabeth Bruenig break down President Trump’s second State of the Union address. After a delay (due to the shutdown, at the request of Speaker Pelosi), Trump’s 82-minute address was less combative than many expected. Themes of unifying the parties, the need for immigration reform, and “peace and legislation” rather than “war and investigation,” brought forth a handful of distinguished guests, lots of standing ovations, and some ironic applause and eye rolling. His speech touched on a handful of divisive issues like abortion, America’s withdrawal from the Intermediate-Range Nuclear Forces Treaty, and the United States’ relationship with North Korea, among many others. In the Democratic response to Trump’s address, former Georgia’s gubernatorial candidate Stacey Abrams echoed a need for unity and thoughtful cooperation among American citizens and their elected officials. Abrams also drove home the point that both Presidents Reagan and Obama understood “compassionate treatment” at America’s borders does not pose a threat to national security. Join our panel for a full analysis of Trump’s address and how this State of the Union may preview Trump’s 2020 platform.